Senate votes 92-5 to confirm nomination of Christopher Wray as FBI Director. The Senate on Tuesday confirmed Christopher Wray, President Donald Trump's pick to lead the FBI. Senators voted 92-5 on Wray's nomination to lead the bureau, according to The Hill. The vote caps off a largely low-drama confirmation process for Wray, who was approved unanimously by the Judiciary Committee late last month. 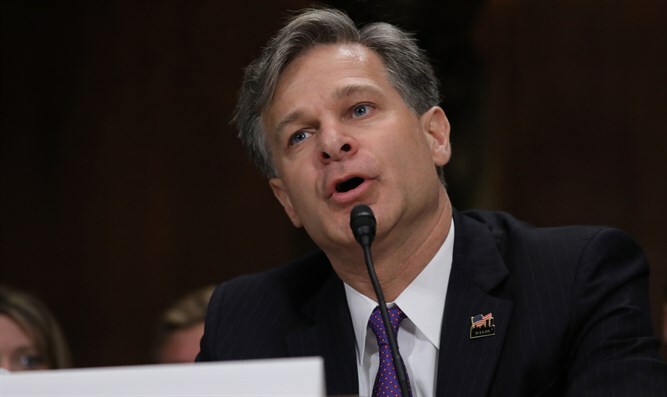 Wray replaces James Comey, who was dismissed by Trump in May. Democrats praised Trump's nominee on Tuesday, saying they believed he could be independent of the president and any attempts to politicize the bureau, noted The Hill. "It is really important that we have a strong FBI director. There can be no manipulation," Sen. Dianne Feinstein (D-CA) said ahead of the vote. "Special counsel Robert Mueller most be allowed to proceed with his investigation undisturbed," she added, citing the special counsel appointed after Comey’s ouster to investigate Russian election interference and possible ties between the Trump campaign and Moscow. Multiple congressional committees are probing Russia's election interference, separate from Mueller’s investigation. Trump initially rejected the CIA’s assessment that Russia carried out cyberattacks during the election campaign in order to sabotage Hillary Clinton's candidacy, insisting that Democrats bitter with the results of the election were inventing excuses for their defeat. He later accepted the intelligence assessment but has rejected allegations that he had any involvement in the Russian hacking.